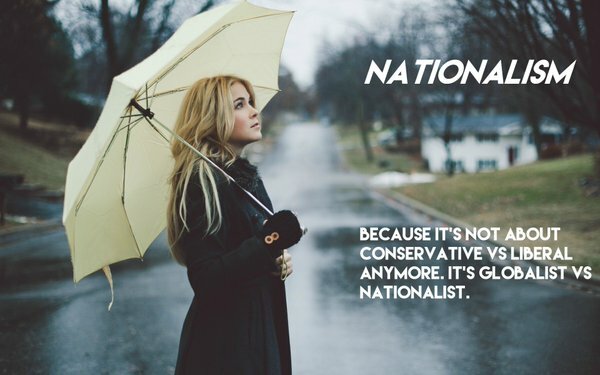 On April 29, The New Nationalist (TNN) ran an article about Rodrigo Duterte of the Philippines in which we made several key observations that we believe pertain to a large-scale “jihadist” uprising emerging in Marawi, located on Mindanao Island. Of late, Duterte is going toe to toe with several of the Philipines’ leading oligarchs, who he says are tax evaders and corrupt democracy. The leader is also taking on the Lugenpresse, who are also tax evaders. Last and certainly not least, President Duterte has vowed to “eradicate all traces of Rothschild financial criminality” from the Philippines, announcing that he will no longer respond to pressure or financial blackmail from the U.S. government or Rothschild-controlled global banking institutions. Photo tweet from Marawi local shows black-clad ‘ISIS’ on the street. 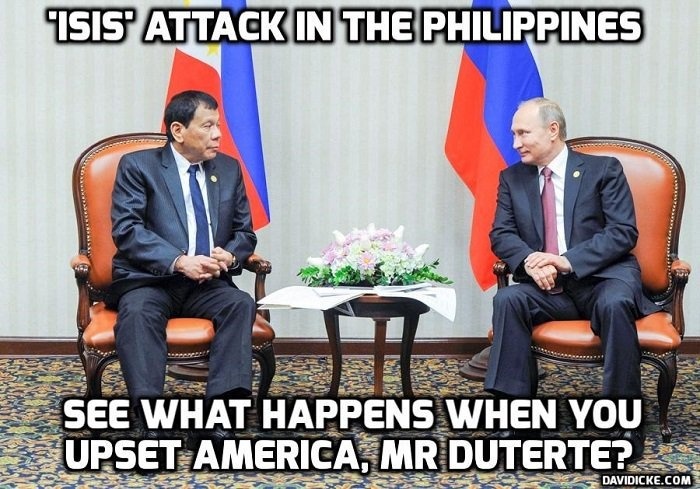 In the last 24 hours, as Duterte was out of the country visiting Vladimir Putin, a very sophisticated and coordinated attack erupted that captured key parts the city of Marawi. The narrative is that a pro-Islamic State/Daesh group called “Maute” attacked the city. Per usual and to confuse the issue, the militants identify as ISIS. TNN notes that these are the same elements used elsewhere around the globe when certain leaders fail to toe the line. We suspect that the usual suspects are moving against the often-blunt, combative Duterte, who has been trashed in the mainstream media. Look for this to escalate into an atrocity campaign against him. fighters occupied the Amai Pakpak Hospital and ordered PhilHealth employees out of the facility. Locals on tweeter say they have cut off electricity. Additionally, there are reports of abuses and possibly killings directed at non-compliant Muslims and Christians. Par for the course, ‘jihadists’ torch Muslim properties. Duterte has declared martial law on the island of Mindanao, where the fighting is taking place, and his Armed Forces of the Philippines (AFP) are moving in to engage as civilians flee to safer locales. Firefights between government forces and militants began at approximately 2:00 p.m.
Marawi City is a predominantly Muslim city, which accounts for 99.6% of the population. Sharia criminal law exists but without stoning, amputations, flagellation or other Islamic punishments as they are against the law of the Philippines. The distribution of alcoholic products and gambling is forbidden and women must cover their heads, though non-Muslims are exempted from this rule.